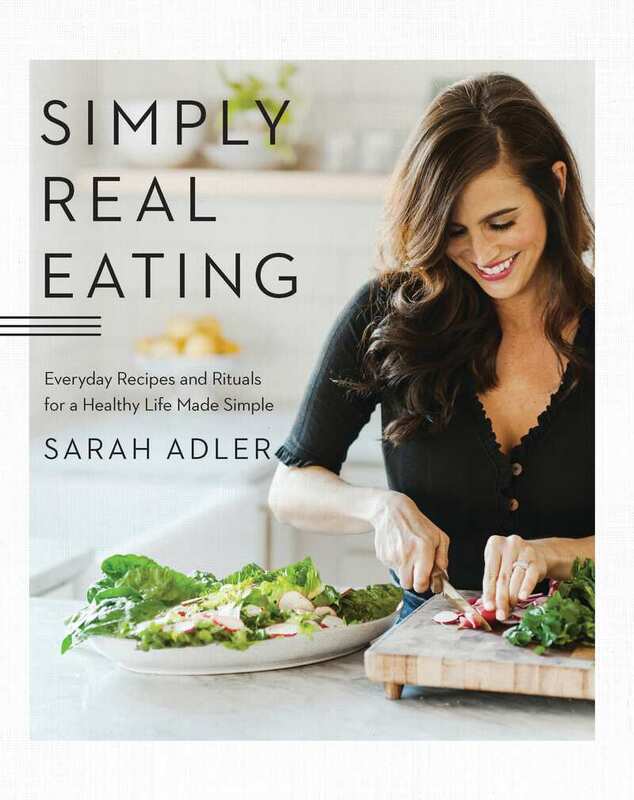 In this unique and welcoming cookbook, Sarah Adler invites readers to cultivate a healthy lifestyle that will actually last. Adler is your nutritionist, your life coach, and your best- friend-who-makes-the-best-food all rolled into one. With more than 100 easy #antidiet recipes to share, she makes getting healthy effortless. Her enthusiasm comes through on every page, with chapters including “Weekday Work It” breakfasts and snacks to share in “Aperitifing Is a Verb.” Recipes are all gluten-free, many with five ingredients or fewer, and have options to customize for other dietary needs. Stunning photographs of each dish make this book a pleasure to read. With recipes such as Warming Sweet Potato Muffins; Fire-Roasted Herby Corn Salad; Broccoli, Basil, and Goat Cheese Pizzas; and Salted Dark Chocolate Peanut Butter Cups, Simply Real Eating includes all the practical tools and healthy rituals you need. Sarah Adler is a nutrition coach and the founder of the blog, Simply Real Health. Her recipes have been featured by outlets including Huffington Post, Well + Good, Refinery29, Cooking Light, Brit + Co., BuzzFeed, and Woman’s Day. She lives in Seattle, Washington.